Treating Eating Disorders is a complicated and specialist field of treatment, requiring holistic care at a fully registered eating disorder treatment centre. That is why, here at 'Rehab Cape Town' with CapeRecovery, we only work with the best place in Cape Town both for locals and for people from abroad. The place is the finest environment that we know, in which to treat any type of eating disorder (anorexia treatment, bulimia treatment, over eating treatment and food addiction treatment, amongst others). They also handle situations that are often combined with an addiction, process addiction or a dual diagnosis problem. Eating Disorders are essentially made up of a range of food related behaviours, such as overeating or under-eating amongst others. Some of these may be easily diagnosed and categorised, others may not. Typically, a diagnosable eating disorder generally occurs when the individuals relationship to food starts to become unmanageable and spirals out of control, as is the case with the most commonly known eating disorder, anorexia nervosa, where restricting food leads to many major health problems and can also be fatal unless treated correctly. Any type of disordered eating, as I said, is a complicated matter and many people experience eating and food issues that become problematic or unhealthy and don't necessarily meet the specified criteria for one of the six eating disorders below. However, all disordered eating is serious business and every case must always be managed individually and holistically. Anorexia Nervosa - Extreme restriction of food and low body weight with possible malnutrition or starvation. Distorted body image or a fear of gaining weight. Obsessive thoughts about body weight and food. There are two specific types and these are, the restricting type and the binge-eating or purging type. 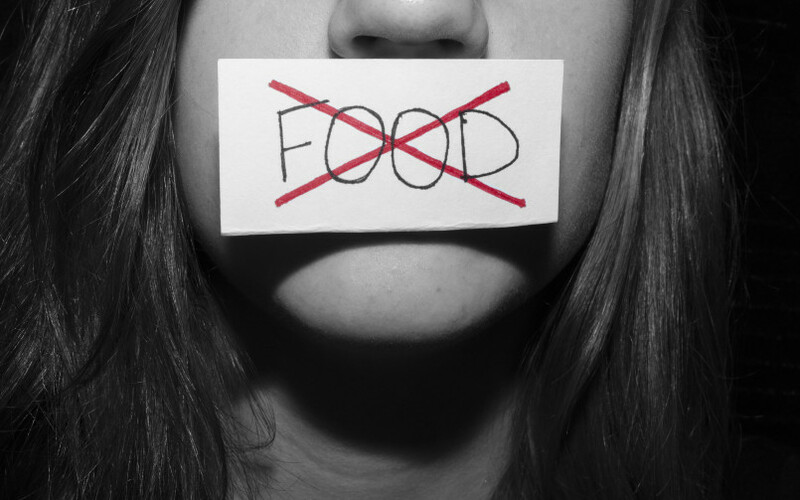 Bulimia Nervosa - A cycle of binge eating along with intense feelings of shame, guilt, and remorse. This can often lead to binges by purging or over exercising. It can cause dehydration, a chronic sore throat or inflammation of the oesophagus, serious abdominal pain, and bowel problems. It doesn't generally result in a significantly low body weight, and often the person’s weight may even be above average. Binge Eating - Quite similar to bulimia in that a person will eat large amounts of food in a short period of time, then typically experience feelings of guilt or disgust. Avoidant/Restrictive Food Intake Disorder (ARFID) - Nutritional deficiency is common as the person fails to get adequate nutrients in their diet. Often they are reliant on oral supplements or even enteral feeding at the chronic stage. A significant weight loss as well as severely impaired psychological and social functioning. Pica - This is a relatively rare eating disorder. The consumption of non-nutritive (non-foodstuffs) substances, such as clay, paper, soap, chalk, mud or laundry starch. A person might find comfort in the texture or the flavour and eating these things gives them a release. More often found in specific cultures, pregnant woman and institutionalised people. Rumination Disorder - The compulsive regurgitation of food, often characterised by spitting, re-chewing, or re-swallowing of the food. I believe that the most important thing to remember is that, like addiction treatment, people are all very different in terms of the level of help they need. Even if someone has never actually been diagnosed with any of the above, disordered eating of any kind is regularly a symptom of various underlying issues that must be dealt with promptly. It is not uncommon for those suffering with eating disorders to have other co-existing metal health or addiction issues and our eating disorder clinic shares CapeRecovery's fully personalised assessment and treatment philosophy in order to provide individualised care for every single one of our clients. On a personal note, I have many friends in recovery from eating disorders here in Cape Town and I am delighted that treating eating disorders is now our speciality alongside our existing, quality addiction treatment. We can apply exactly the same CapeRecovery principles of continued care and recovery to anorexia treatment, bulimia treatment, over eating treatment and food addiction treatment, that we currently do with our incredible addiction rehab and recovery treatments. At CapeRecovery we love the whole recovery way of life here in Cape Town and the mixture of those recovering from eating disorders and all other addictions makes for a great and supportive experience for anyone who has the opportunity to come here for treatment. We take care of absolutely everything the individual requires and we also organise any sober living arrangements, social events with the Cape Town Recovery Community and even some exciting and unique voluntary experiences if that's what the client requires. We only ever charge the current local prices to everyone and we even pick you up from the airport personally and visit all our clients when in treatment. Alongside all of this, we keep the family and friends back home fully supported and informed if you want us to. Some would say it is the ultimate recovery experience and I won't disagree! The thing is, I genuinely enjoy what I do and want every single one of our clients to get well, to begin a new life beyond their wildest dreams and to experience what I have in recovery today. Our extremely close working relationship with the best Eating Disorder Clinic here in Cape Town means that we have direct access to expert help and advice on anything eating disorder related and we can also be fully confident that every one of our clients is receiving the best possible care at every single stage of their individual process. At the same time benefitting from the unique CapeRecovery method of supporting each of them through the entire journey and beyond. People from the UK and overseas can now get the best quality specialist eating disorder treatment as a part of the CapeRecovery Experience and all that involves, specially tailored just for them! For the very best methods of Treating Eating Disorders, be it Anorexia Treatment, Bulimia Treatment, Over Eating Treatment, Food Addiction Treatment or any other Disordered Eating and also alongside mental health, addiction or process addiction, then the CapeRecovery Experience covers everything at the best local prices, find out more today!